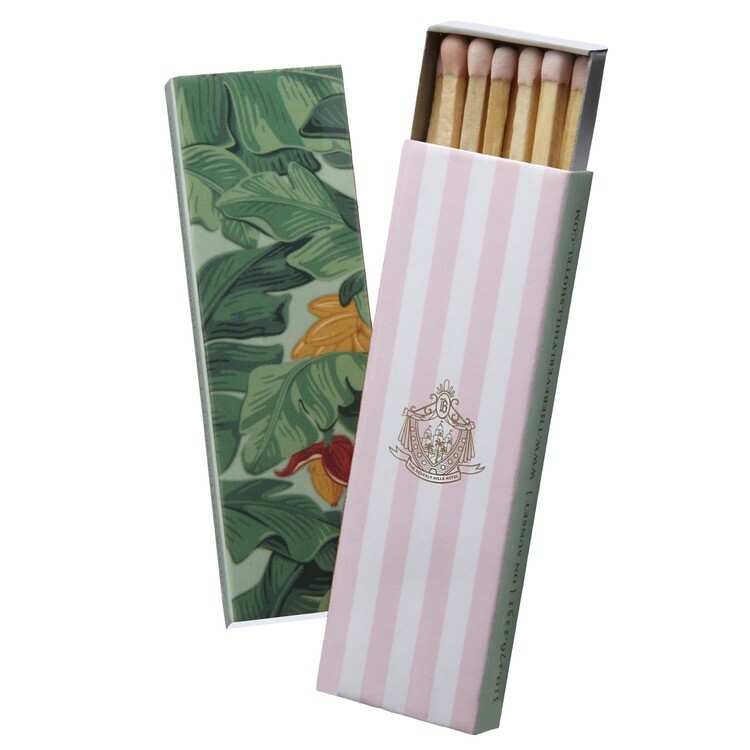 The traditional "tiffany" box stretched in length with 15 sturdy 3-inch sticks and a choice of 16 standard match tip colors. This elongated "tiffany" size is for those who enjoy cooking and candles, or cigars and pipes, or lighting firesides and performing other home tasks requiring a longer-lasting light. "Base Price" includes 1-color imprinting on 3 sides of outer cover. 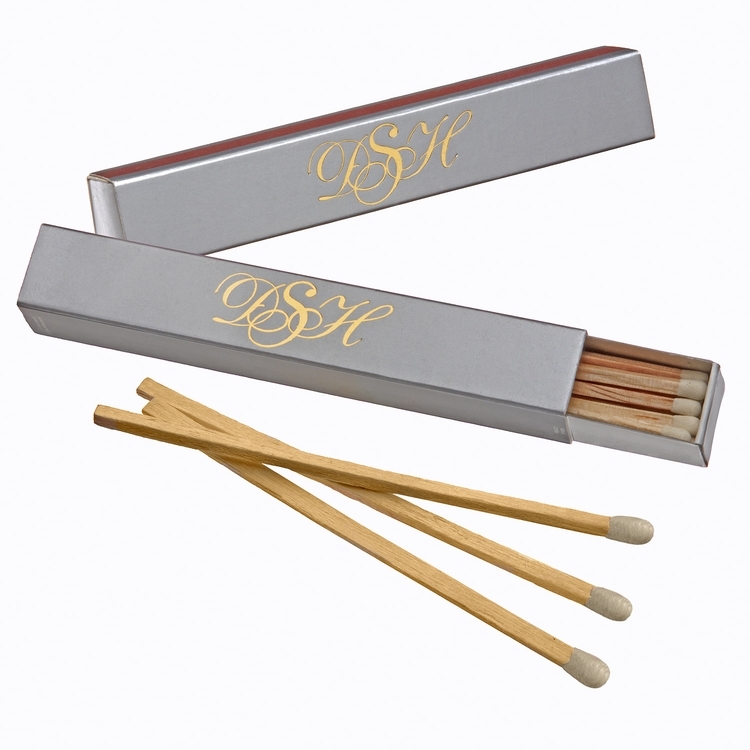 The double-length "lipstick" shape box with 4" matches is ideal for lighting cigars and pipes, BBQ grills, fireplaces, incense tapers, stoves and hard-to-reach gas appliances. With 15 strong 4-inch splints and a choice of 16 match tip colors, this super "lipstick" size is a winner for anyone whose household needs and pleasures rely on a perfect match. "Base Price" includes 1-color imprinting on 3 sides of outer cover. 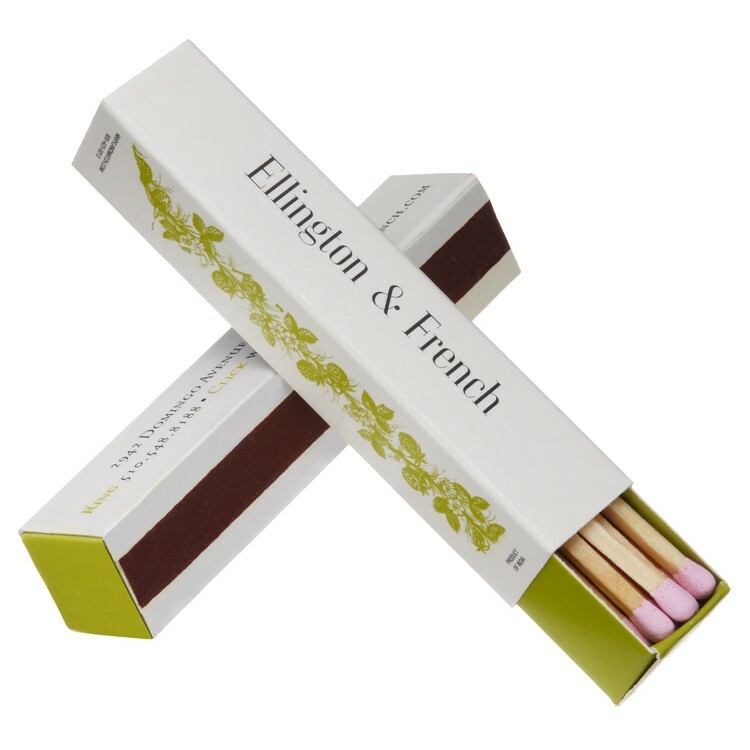 The all-weather "domino" box stretched in length with 12 sturdy 3-inch sticks and a choice of 16 standard match tip colors. This elongated "domino" size is for those who enjoy cooking and candles, or cigars and pipes, or lighting firesides and performing other home tasks requiring a longer-lasting light. "Base Price" includes 1-color imprinting on 3 sides of outer cover. 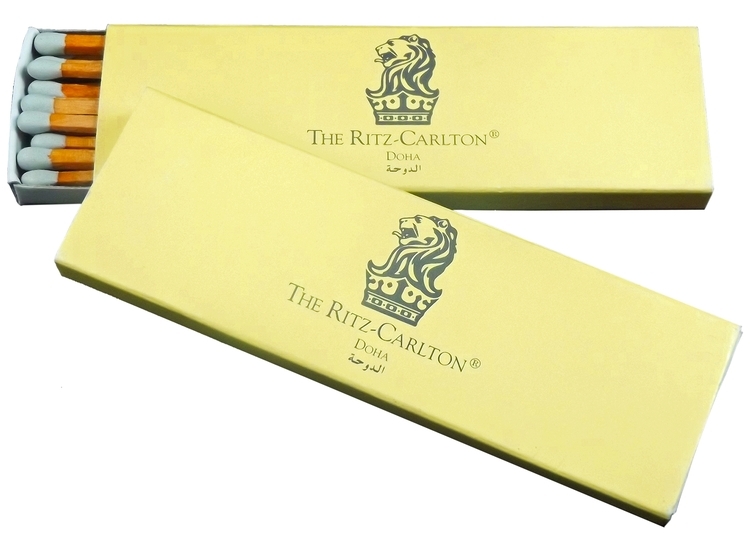 The famous "lipstick" box stretched in length with 15 sturdy 3-inch sticks and a choice of 16 standard match tip colors. This elongated "lipstick" size is for those who enjoy cooking and candles, or cigars and pipes, or lighting firesides and performing other home tasks requiring a longer-lasting light. "Base Price" includes 1-color imprinting on 3 sides of outer cover & UV gloss coating. The double-length "tiffany" shape box with 4" matches is ideal for lighting cigars and pipes, BBQ grills, fireplaces, incense tapers, stoves and hard-to-reach gas appliances. With 17 strong 4-inch splints and a choice of 16 match tip colors, this super "tiffany" size is a winner for anyone whose household needs and pleasures rely on a perfect match. "Base Price" includes 1-color imprinting on 3 sides of outer cover.